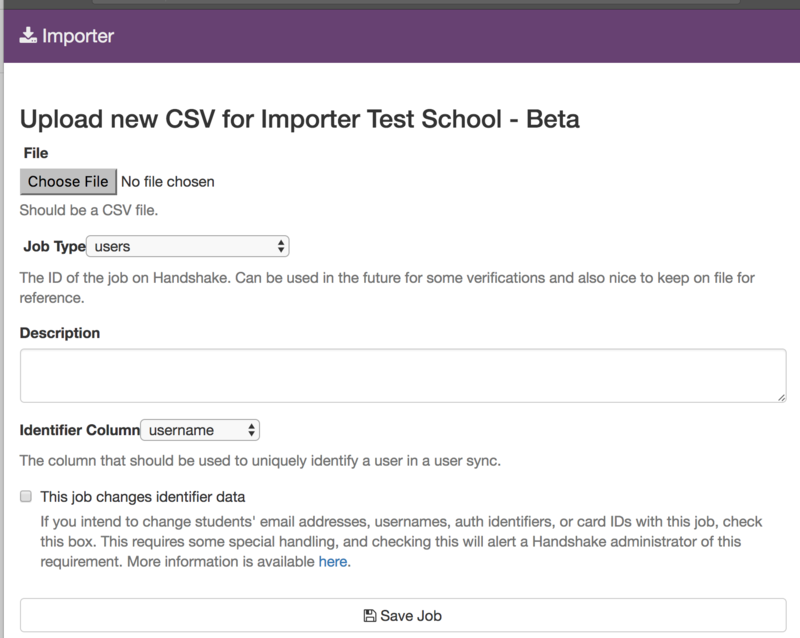 Importing student data is a vital step in implementing Handshake. It's the most efficient way to ensure you're populating accurate student information. This in turn empowers filtering, outreach, and analytics for Career Services and populates necessary student job qualifications. Use this time to identify any workflow requirements - work as a team (both Career Services and IT) to identify the key fields to support the Career Services needs and workflows. Chose the Right Attribute for your Student's "username"
While students have other identifying attributes that must be unique in Handshake, such as email_address or card_id, the username is expected to never change, to never be recycled, to always belong to that user. Choosing this identifier carefully will help ensure that the utmost quality data is maintained, and it prevents assigning a new student to an account that already exists, violating a student's privacy. Decide the username before your initial student upload. Choose the Right Attribute for your Student's "auth_identifier"
auth_identifier is the value on the student record that ties your SSO integration to the uploaded student record. This value should be the same as the sso identifier you put into Handshake. Choose the Right Attribute for your Student's "card_id"
card_id is only needed if you plan to use the Handshake Checkin Kiosk / Card Swipe. If you do not use this, there is no need to include. If you are using the kiosk, the card_id is the value that Handshake uses to tie the student's card back to their student record when they swipe their card to check in for events, fairs, or appointments. This value must be unique and not change per student. Please ensure that you are only sending us the unique portion of the card. The value must be contained within the output of the card swipe. Anyone who uploads data into Handshake will need access to the Importer. If you don't have access, you must review the brief training course here. Once you have completed the training course, email your University Success Manager so they can add you to the tool! 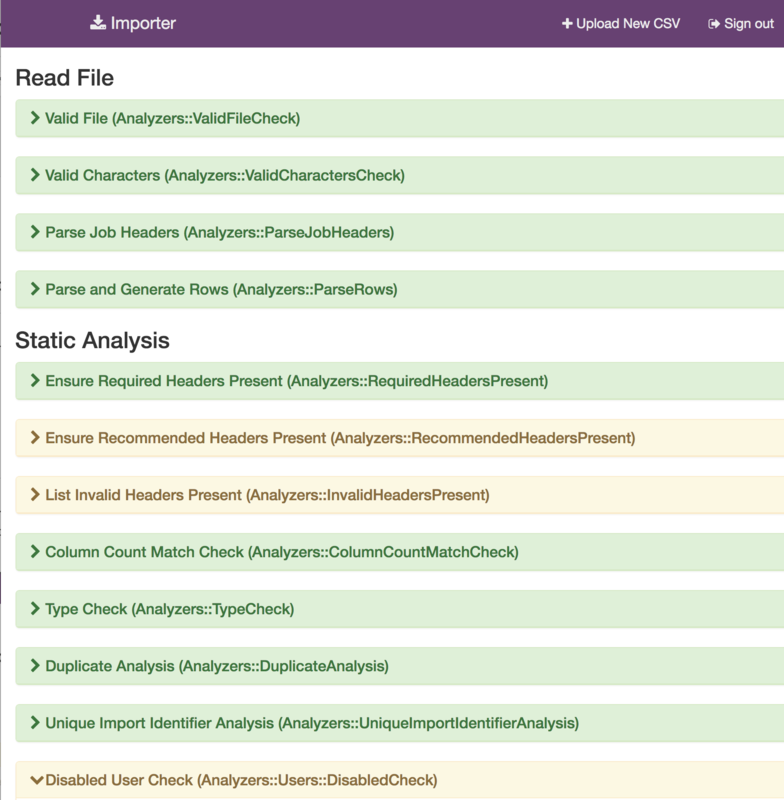 Download the Student CSV Example to ensure the headers match exactly. Extract and transform your student registrar data from your Student Information System to meet the CSV specs. 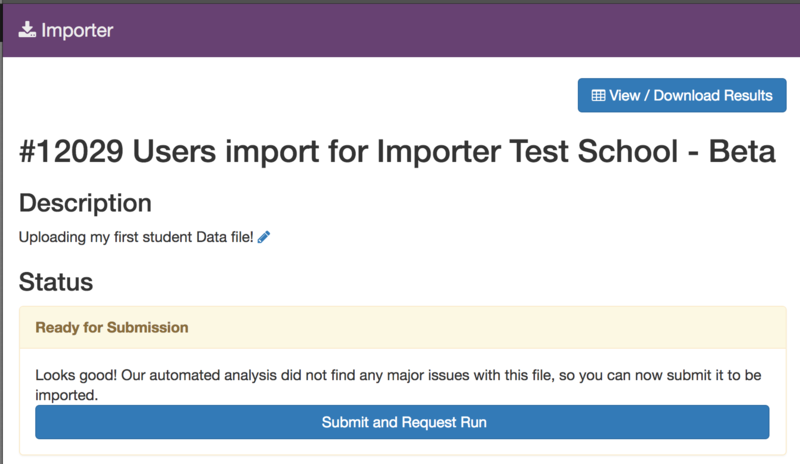 Our support team will be notified to open a request with you to get your data reviewed and imported.